1 of 2 Whisk together lime juice, vegetable oil, dark-brown sugar, small jalapeno, seeded and minced, cumin, salt and pepper. 2 of 2 Place baby spinach in a large serving bowl. 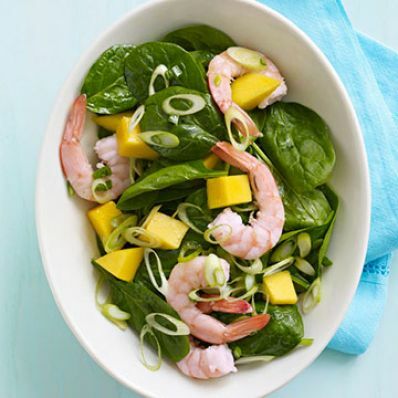 Stir in mango pieces, shrimp and sliced scallions. Drizzle with dressing and serve.